Your car has to start when you need it to, and that begins with a good battery. A car's battery typically needs to be replaced every few years. Not all batteries are created equal, so it's important to look at the options before deciding which one bet meets your needs. When you're ready to buy a new battery, keep these highly rated options in mind. The top-rated battery as ranked by Consumer Reports, the AC Delco 49AGM is a dependable, powerful option that will get you down the road every time. It is specially designed to remain cooler during operation, therefore extending its life. This model has a 36-month warranty. ConsumerSearch gives the DieHard Gold 50823 its highest ranking for automotive batteries. This battery's temperature tolerance is unmatched, allowing it to function well on the hottest and coldest days of the year. It also boasts a 36-month warranty. The Napa 84-Month Battery is among the very best options on the market, according to CarsDirect. Designed to last for 84 months, this affordable battery has very high quality standards and requires no maintenance from the consumer. 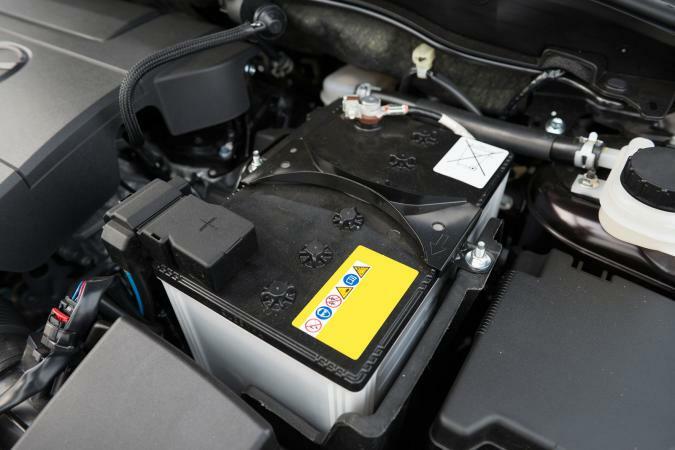 Another option highly recommended by ConsumerSearch, the Optima Yellow Top D51R is ideal if you need a deep-cycle battery. This type of dual purpose battery lets you operate your sound system or other features even when your car is off. It's designed for extreme conditions and has a three-year warranty. The EverStart line of batteries, available exclusively at Walmart, is the top pick for value on the CarsDirect website. They offer reliable performance in cold weather, a feature that makes them just as good as other batteries that sell for much more. They have a three-year warranty. The Odyssey PC690 is the best-selling battery on Amazon. It promises between three and 10 years of reliable performance. This model is extremely tolerant to high and low temperatures and has a two-year warranty. Called the best automotive battery on the market by ShedHeads, the Optima Red Top is a good choice if you want to put a battery in your car and not think about it again. It can give you up to eight years of reliable performance, even in extreme climates. It comes with a three-year warranty. Called one of the very best batteries for cold weather by ProCarReviews, the Bosch S6563B S6 is specially designed for extreme cold and never freezes. It comes with a four-year warranty. For diesel vehicles, ProCarReviews recommends the Odyssey 65-PC1750T as the best option available on the market. It provides a huge amount of power, even in cold weather. It boasts a three-year warranty. Recommended by both Consumer Reports and ConsumerSearch, AutoCraft batteries offer a good combination of reliability and value. The AutoCraft 49H8 is made using a manufacturing process that uses less energy and has lower greenhouse gas emissions than other production methods. It has a three-year warranty.